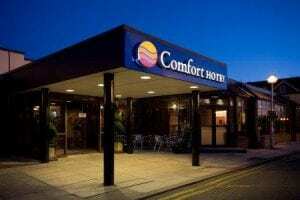 Situated just 3 miles from Heathrow airport the Comfort Hotel offers affordable and very comfortable accommodation, with the Seasons Brasserie a gym and Hoppa bus connection ensuring your stay will be easy and enjoyable. The restaurant enjoys a relaxed atmosphere offering a varied menu, including a special children’s menu for breakfast and through-out the day. In addition to the restaurant the Seasons Lounge Bar offers snacks, bar meals and Costa Coffee. The well equipped gym is open to guests and includes a full range of modern equipment. The 184 en-suite rooms are equipped with satellite TV, telephone, tea and coffee facilities, WiFi is available at an extra cost. Single, twin and double rooms are offered with a choice of standard or superior. There are a number of rooms available with special facilities for mobility impaired customers.